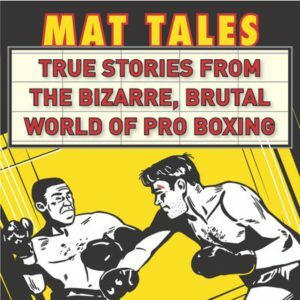 Mexico’s hard punching Sandro Marcos turned professional on December 18 of 1992 with a first round knockout over Antonio Netza. He ran his record to 14-0-1 with 12 by knockout before taking his first loss against Raul Martin Franco, being stopped in the 10th round of a battle for the WBA’s Fedelatin Jr. Lightweight Title. He would continue to campaign between the Lightweight and Jr. Lightweight divisions, getting 2 shots at the Mexican National Jr. Lightweight Titles, but losing both times. With his dangerous punching power, and aggressive style he became a favorite with promoters as a gate keeper for up and coming contenders, and sliding veterans. He faced his share of world ranked contenders and World Champions including: Jose Luis Castillo, Carlos Hernandez, Jorge Paez, Johnny Tapia, Kevin Kelley, Robert “The Ghost” Guerrero, and Brandon Rios. His greatest victory came on Sept. 16, 2005 when he scored the upset over former world champion Johnny Tapia with a 2nd round ko via body shot. 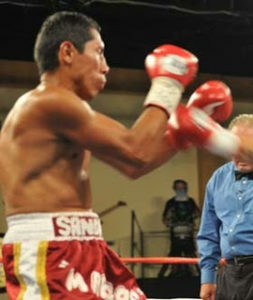 Even though Tapia was long past his prime, it was still an impressive victory, and put Marcos’ name back into the mix. His last pro fight came on July 30, 2009 where he was stopped in 6 rounds by unbeaten Luis Ramos, JR.
Sandro Marcos ended his career with a record of 26-20-2, winning 22 by knockout!